Sweetgrass basket sewing in the low country of South Carolina. 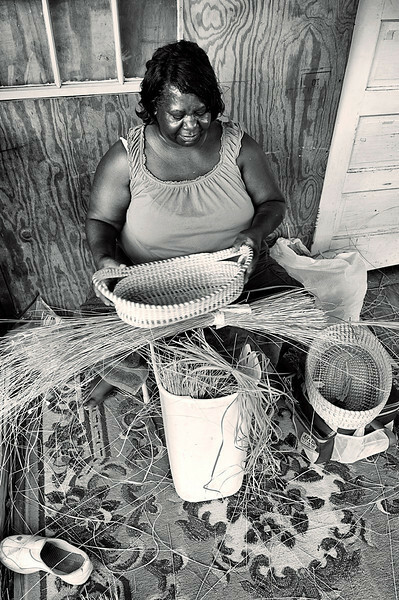 This is Anna Dawson, a sweetgrass basket artist who sell her works along Route 17 near Mount Pleasant, South Carolina. For more about the art of sweetgrass basket sewing click on "STORIES" in the menu.